“The Ministry of Health has conveyed it that the Centre has decided to set up AIIMS at Khandheri village near Rajkot city. We have already identified land which will be given free,” Nitin Patel told reporters in Gandhinagar. 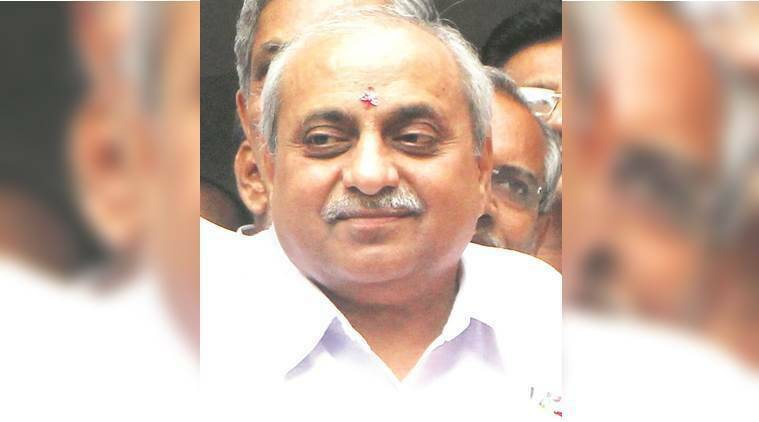 As Vadodara was also in the race, Nitin Patel said the decision was taken by Prime Minister Narendra Modi-led government following a report submitted by the experts appointed by the Centre. The state government on Thursday said that an All India Institute of Medical Sciences (AIIMS) will be established near Rajkot. Deputy Chief Minister Nitin Patel, who also holds the Health portfolio, said the director of the Pradhan Mantri Swasthya Suraksha Yojana under the Union Ministry of Health informed the Gujarat Health Department on Wednesday evening that an AIIMS has been allocated to Rajkot. Patel thanked Prime Minister Narendra Modi for “this gift to Gujarat”. He further said the state government would give 120 acre land free-of-cost for the 800-1,000 bed AIiMS to be built at an estimated cost of Rs 1,200 crore. “The Ministry of Health has conveyed it that the Centre has decided to set up AIIMS at Khandheri village near Rajkot city. We have already identified land which will be given free,” Patel told reporters in Gandhinagar. As Vadodara was also in the race, Patel said the decision was taken by Prime Minister Narendra Modi-led government following a report submitted by the experts appointed by the Centre. He hinted that the experts might have felt that Rajkot needed an AIIMS more than Vadodara in view of the current health infrastructure in the two cities. “The Gujarat government had told the Centre that an AIIMS can be set up at either Rajkot or Vadodara. The committee of experts had visited both the sites. They must have taken into account various factors and made observations accordingly in their report,” Patel said. The Union government would spend around Rs 1,200 crore to set up the AIIMS which will include a medical college, a state-of-the-art hospital with around 1,000 beds and a research institute, Patel said. “After assuming office in 2014, Narendra Modi had announced that Gujarat will get an AIIMS, as the previous Congress-led government never gave a thought to it. We thank our PM for giving an AIIMS to Gujarat,” said Patel. Patel pointed out that Vadodara recently got two big-ticket projects — Railway University and India’s biggest sports complex. The issue of where the AIIMS will come up was raised ahead of the Jasdan Assembly by-election in Rajkot district last month when some BJP leaders, including energy minister Saurabh Patel and state BJP chief Jitu Vaghani, said it should come up in Rajkot.